"Tenor and soprano saxophonist Evan Parker's whirlwind circular breathing couples tones in a dizzying array of decenteredness, frayed further by windy echoes of the horn's machinery while he overblows torrents of energy. 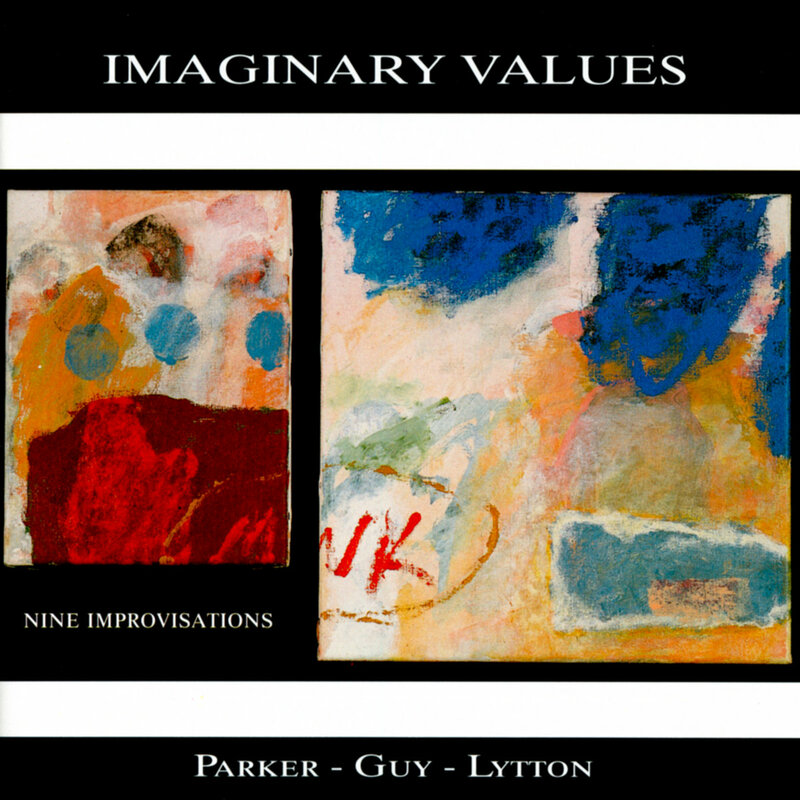 Parker, bassist Barry Guy, and drummer Paul Lytton share near-telepathic dialogue in this loosely formulated expanse that is at once personalised and left wide open. Guy thumps his bass with such energy that at times he sounds like the drummer, while Lytton bows his drums, assuming the bassist's role, and Parker delivers solos like several saxophonists expanding multiple horns' ranges all at once. Imaginary Values compels as both an idea and a fully visceral sonic experience." All through this record, and more strikingly so in the shorter conclusive pieces, the music takes that ultimate sense of inevitability which signals the perfect combination of sensibility, timing and personal creative use of the instruments into a collective statement formulated right in front of the listener. And in the end this is what music is all about.